Do you ever find yourself wandering the aisles of your local scrapbook store, looking for teen themed products that will capture unique personalities? 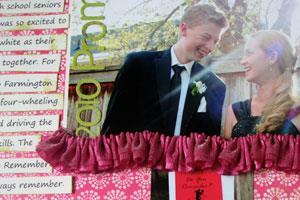 Do you want to scrapbook about topics other than dances, recitals and sports? Surrounded by four teenage boys, Wendy enjoys photographing their teenage adventures and escapades (at least the ones she knows about!) as well as scrapbooking them. 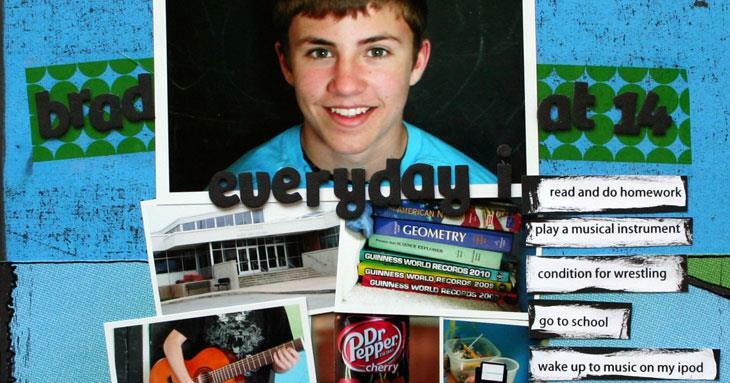 Join in the fun and scrapbook your favorite teen adventures. This class will open your eyes to all the cool teen related topics to scrapbook about. From a photo quiz mini album to fashion inspired techniques, you will learn approaches for teen pages and gain an understanding of how to scrapbook teen life. 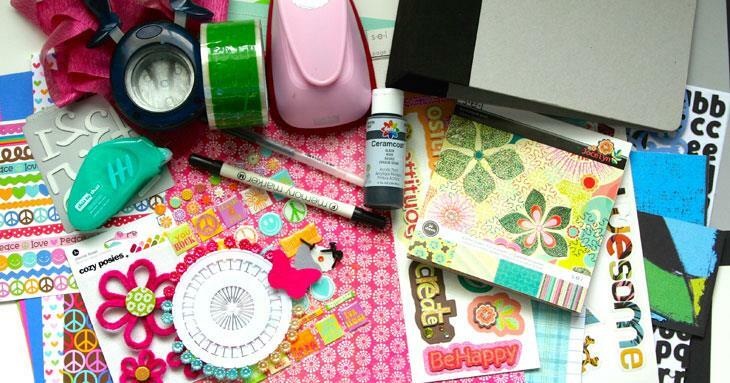 Are you ready to start scrapbooking!? It's time to stop thinking about it, and just do it! This class is for beginners and experts alike. You will find endless inspiration, and fresh new ideas for learning more about your teen, and getting the important stories onto a layout. 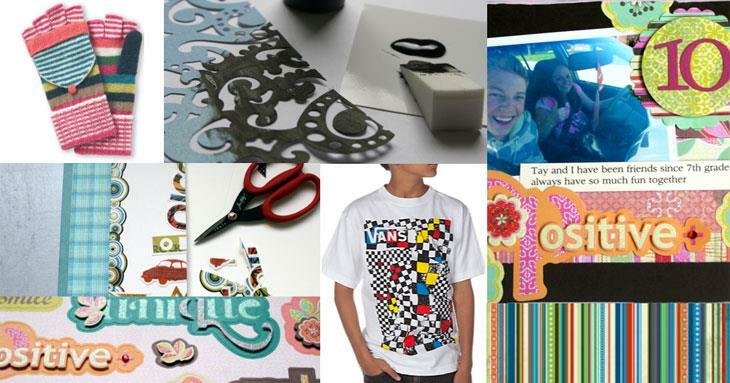 If you're the parent of a teen, or a teen yourself, then it's time to Scrapbook a Teen Today! Click here to view The Wendy Waiver! one sheet of neutral 8 1/2” x 11” cardstock. Remember that your product choices will depend on the gender and interests of the teen you are scrapbooking. The projects in the class can be translated to either gender with the products you choose helping to maintain the visual story. I'm Wendy Smedley, and I have had the opportunity to author a handful of books about scrapbooking, including the bestseller The Organized and Inspired Scrapbooker and my newest book, Start Scrapbooking. I am excited to be introducing a new series of classes, Start Scrapbooking, here at Big Picture Classes. As a former editor for a scrapbooking magazine, I have looked at thousands of layouts made by scrapbookers all over the world and developed content for hundreds of thousands to be inspired by. This has given me a unique understanding of what scrapbookers look for and need to complete projects they feel good about. My content is very doable and geared towards the everyday scrapbooker. I want to leave you feeling empowered and capable.